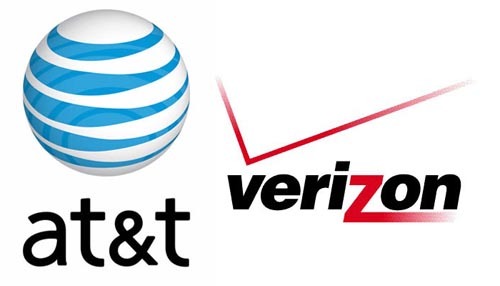 USA based AT&T has announced that it is paying US$1.9 billion in cash to buy blocks of radio spectrum from Verizon Wireless..
USA based AT&T has announced that it is paying US$1.9 billion in cash to buy blocks of radio spectrum from Verizon Wireless. AT&T has agreed to acquire spectrum in the 700 MHz B band from Verizon Wireless for $1.9 billion in cash and AWS spectrum licenses in several markets, including Phoenix, Ariz., Los Angeles and Fresno, Calif. and Portland, Ore. The 700 MHz licenses to be acquired by AT&T cover 42 million people in 18 states – California, Colorado, Florida, Idaho, Illinois, Louisiana, Montana, New Mexico, New York, Ohio, Oklahoma, South Dakota, Tennessee, Texas, Utah, Virginia, Washington and Wyoming. This acquisition complements AT&T’s existing holdings in the 700 MHz B band and the company said it would be used for LTE services. The company announced in November 2012 that it plans to reach 300 million people in the U.S. with its 4G LTE network by the end of 2014. In conjunction with this transaction, AT&T will sell to Grain Management a single AWS license and will lease 700 MHz spectrum from Grain Management in three markets. The transaction is subject to regulatory approval. AT&T anticipates closing the transaction in the second half of 2013.